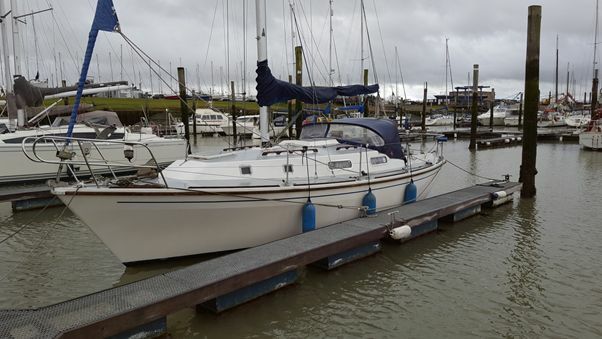 May be viewed afloat at Bradwell Marina Essex. In the same ownership since 2002 and regularly sailed in the Blackwater and Thames estuaries, and on Rivers Stour, Orwell and Deben. Sails have been recently overhauled and valeted; furling genoa. All halyards replaced in 2018 and standing rigging replaced in 2007. Balanced setting of sails gives light helm and steady performance to this safe and family friendly cruising yacht. Powered by a Bukh DU20 2 cylinder diesel engine via a Bukh stern drive system. Please contact the vendors for full inventory, service history and photographs.